I wanted to show you the tomato plants and the sweet basil that I grow together. These are grown direct from seed and the ones I was able to salvage from the chicken attack! Still mad about that, you know! Anyway, here you can see that they are doing well. 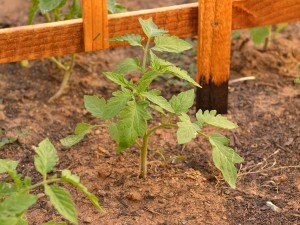 This way of organic planting is called Companion Planting. I did alot of research into this and it is a pesticide-free way of planting. Tomatoes and Basil (as well as Parsley) do very well together. This improves the flavour and growth of the Tomatoes. They thrive too! I also learnt that thyme and peppermint are very good herbs to plant along side Tomatoes – helps control white fly. So I have thyme next to mine. Marigolds are also helpful around tomatoes. You told me about Marigolds. They keep away the nematodes in the soil. 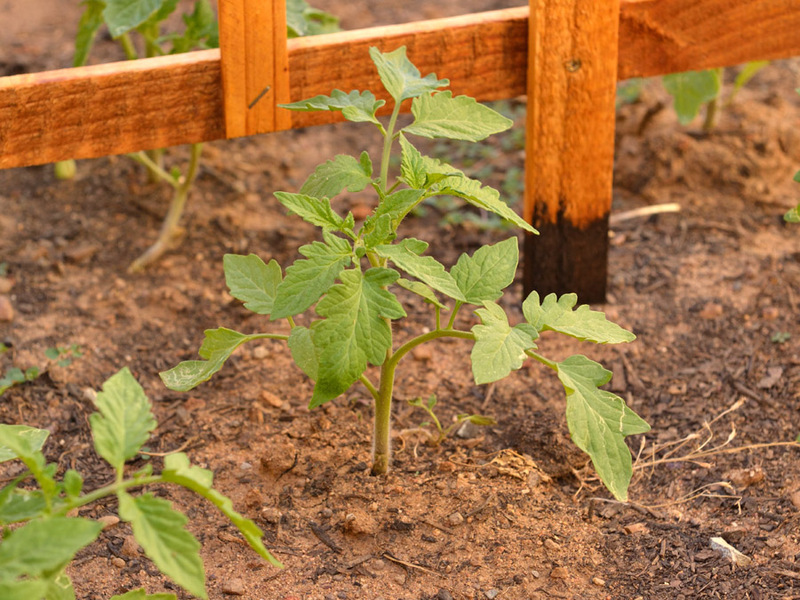 These little pesky root-destroying pests can stunt the growth of your plant. those look awesome, im starting a garden for my class but i still haven’t decided what im going to plant first. I look foward to following yours and Christine blog for your great advice and beautiful pictures. Oh thank you! I can feel that photography is going to become a huge passion – just like gardening and this gardening blog! 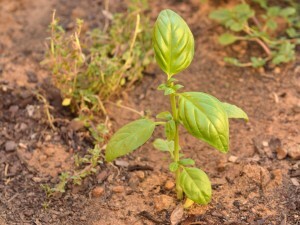 I have a tray of sweet basil seedlings I am busy with and will be re-planting them tomorrow in individual seedling trays, so you will be the first to get a few for your planter! PS: Your photographs are GORGEOUS!! I am so green with envy about your new camera – but more so, I’m really awed by how quickly you are picking up the art of photography! I love the basil plants – they are so pretty, I could plant those in amongst my ornamentals I think! 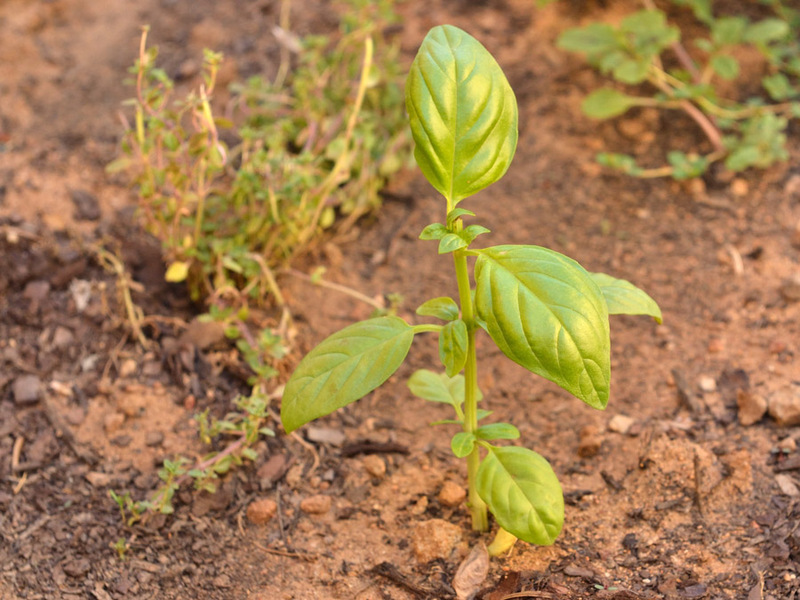 Just gorgeous – and we use so much basil in our kitchen here – we spend a fortune on buying basil, rosemary and thyme from woolies! Definitely on the top of my “going to plant in my veggie grower” list! !